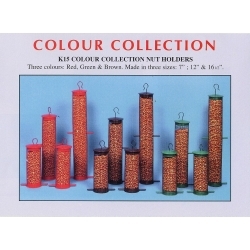 Colour collection nut holders in 3 colours: Red, Green and Brown. Made in 3 sizes: 7 inch, 12 inch and 16.5 inch. 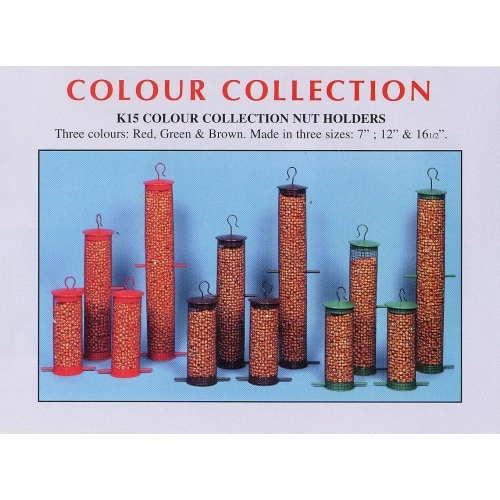 Bird Feeders UK manufacture all products in the UK to a high specification.